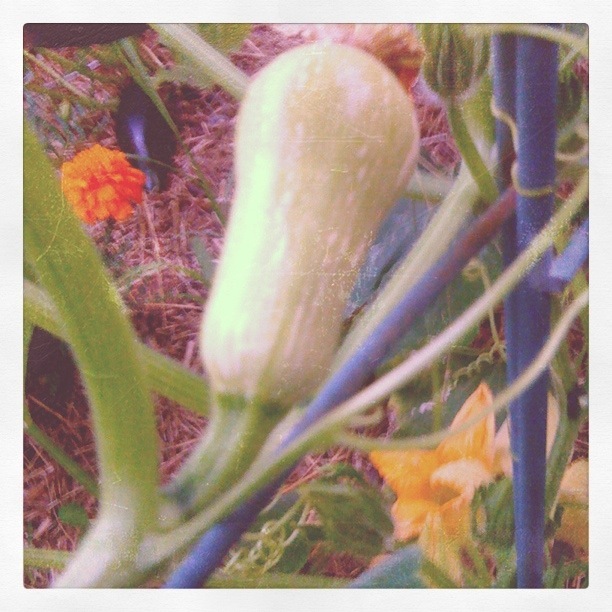 In the Garden: Butternut Squash – Writer. Editor. Storyteller. Growing on a trellis turned out to be a great idea.